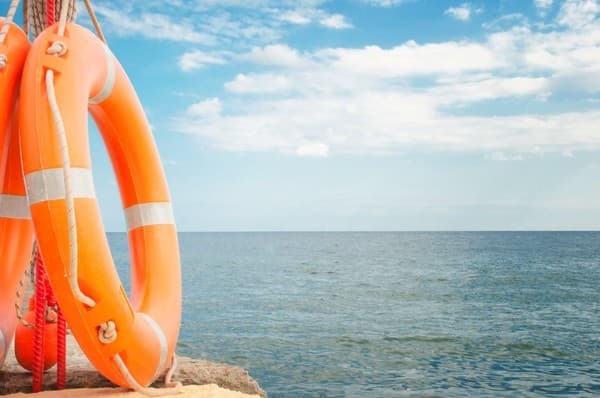 The health-improving center "Golden Ear" is located in the south-eastern part of Alushta, in a relic park with an area of ​​1.5 hectares, 500 meters from the sea. 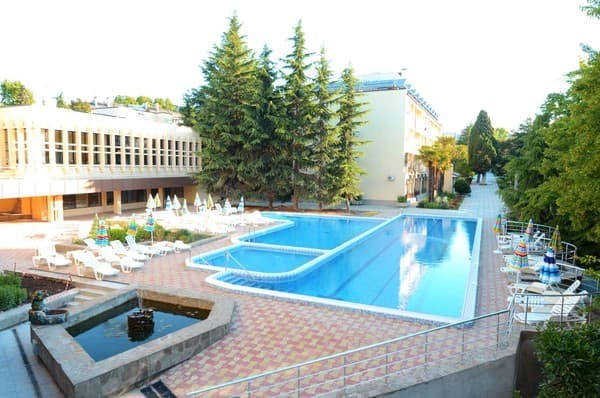 The complex has a modern medical and diagnostic base, one of the best on the southern coast of the Crimea. In the health center all the necessary conditions for rest and health of parents with children are provided. Accommodation in a 12-story building № 1, a four-story building № 2, a three-story building №3. 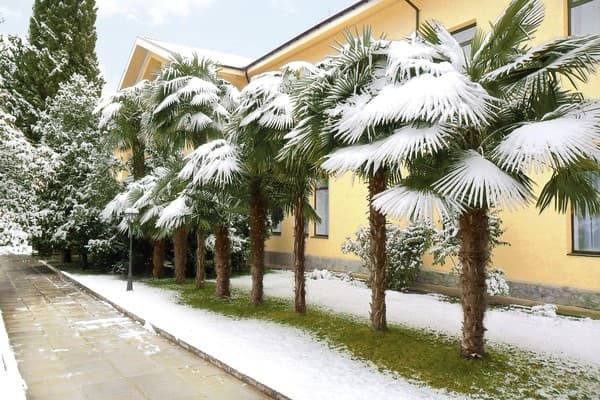 All rooms are with private facilities, air-conditioned. The hotel has its own well-equipped beach with a shady zone, indoor and outdoor swimming pools, a gym, parking, a luggage room, equipped conference halls for 200, 80 and 20 seats, a restaurant complex, children's playground, free WI-FI in all conference rooms , in the lobby of the first building and rooms of the third building. The distance to Simferopol is 50 km. Description of the room: Rooms of this category are in the 2nd building from the second to the fourth floors. 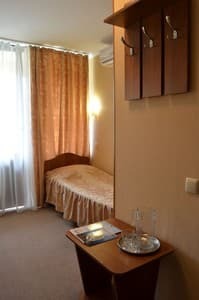 Rooms are equipped with modern furniture and plumbing. Each room has one bed and a balcony in some rooms. Description of the room: Rooms in this category are not equipped with balconies. Some rooms of this category in this building offer a view of the Japanese pond with rare carp and a pond with goldfish, as well as a summer café Watermelon. 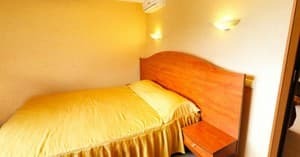 The rooms have two comfortable beds and bedside tables. Room size is 12-16 m². Description of the room: Rooms of this category are in the 2nd building from the second to the fourth floors. The rooms have a view of the north and south sides of the park complex. One-room numbers of this category are equipped with modern furniture and plumbing. Each room has two standard beds. 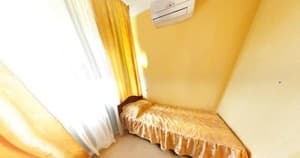 Description of the room: The rooms of this category are located in one building from the fifth to the twelfth floor with a panoramic view of the relic park complex and the sea. 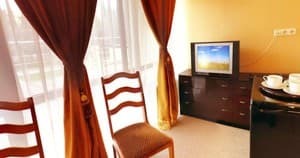 All rooms are equipped and fully equipped with modern furniture and plumbing. Description of the room: In the third building rooms are located on the 2nd and 3rd floors with common balconies. Some rooms in this category in this building offer a view of the Japanese pond with rare carp and a pond with goldfish. The room has three comfortable beds and bedside tables. The room area is 16 m². 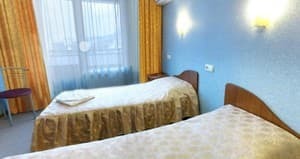 Description of the room: Modern spacious rooms are located in the second building from 2 to 4 floors. Rooms with a view of the relic park, in which there are strange flowers and plants, as well as monuments of different eras and times. The room is fully equipped with modern furniture and plumbing. The area of ​​the rooms is 20m². 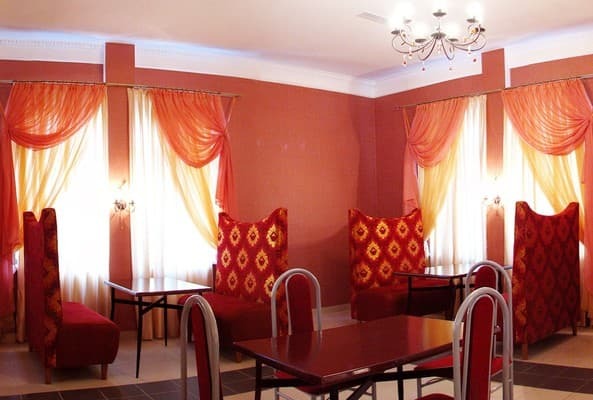 Description of the room: The rooms are located in 1 building from the 5th to 12th floors with views of the mountains and the sea, and 3 buildings on the 2nd and 3rd floors with a view of the park. In different buildings, the suites differ in different layout, color, decor. A modern spacious two-room suite consisting of a bedroom and a guest room. In separate rooms there is a toilet and a bathroom. The room is fully equipped with modern furniture and plumbing. Room area is 30 m². Accommodation of children under 7 years without a seat is free of charge. When you accommodate children from 7 to 12 years on an extra bed, you get a 50% discount. When settling children from 12 to 18 years old and adults on an extra bed, a 30% discount. 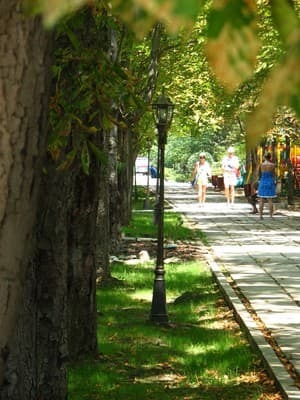 The health-improving center "Golden Ear" is located in the south-eastern part of Alushta, in a relic park with an area of ​​1.5 hectares, 500 meters from the sea. Treatment of diseases of the circulatory system, respiratory organs of non-tubercular nature, nervous system, musculoskeletal system, endocrine system. From the railway station of Simferopol to the bus station of Alushta - then by buses 1, 4, 7 to the bus stop. the Chaika tourist center.